*Payment must be received 48 hours prior to attending class. 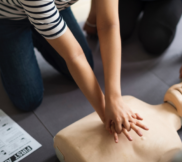 CPR Skill Check-Offs Available (for Online AHA eLearning Courses). Please call (660) 263-6643 to schedule appointment.